Do you often send regret emails? Ops, we mean regret after sending an email. Whether it's incorrect entering the recipient's email, forgetting to attach the file, writing the name of the wrong person or whatever it is that makes you regret immediately after clicking "send ". An instant step to get rid of those regret clicks is now re-created by Gmail. 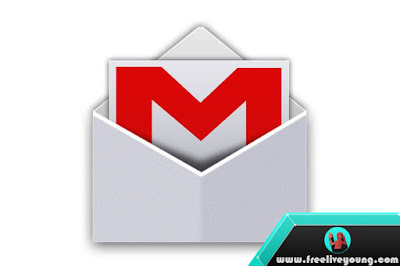 For Gmail users, an old feature of Gmail Labs, Undo Send, was recently added to the Gmail inbox app. This feature can be found in the web version of Gmail as one of the official features. Now you can make sure email delivery errors will never be seen by anyone other than yourself. Here's how to use Undo Send in Gmail. Go to the Gmail Settings section and find on the "General" tab of the Undo Send option. Click the Enable Undo Send option, then select the send cancellation period of 5 to 30 seconds. The selected time will make how long you have to do the undo shortly after sending the message. Finally, click on "Save Changes" at the bottom. If you can not find the Undo Send option on the "General" tab, first you can go to the "Labs" tab. Find Undo Send application, select enable, and click "Save Changes". When you finish sending an email, a mini-dialog box will appear on the screen with the option. Just click Undo and your email will never appear in anyone's inbox.